Fourth month into the year which means my fourth snaps post. 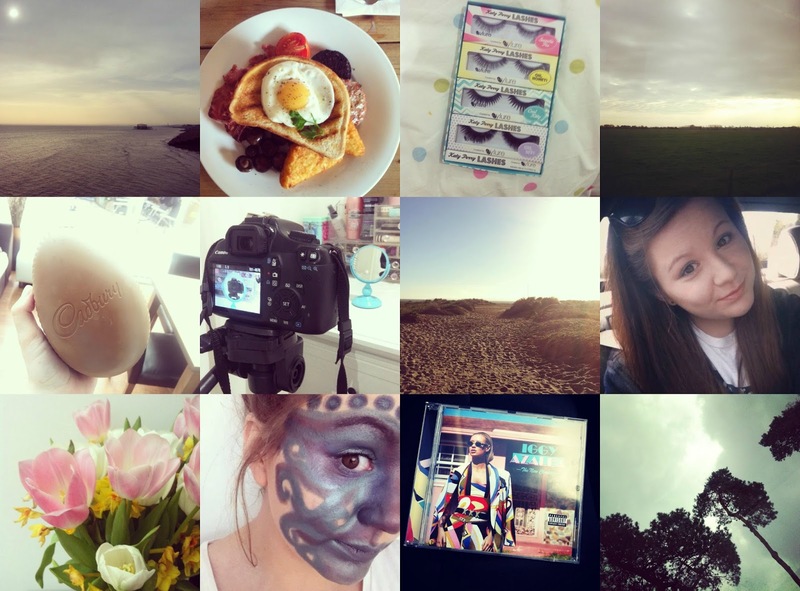 I haven't taken lots of Instagram pictures during April quite like the fact I haven't posted a lot on my blog during April either, I think April has been a month of slacking for me, someone tell me off? April has been the month I became a Minecraft addict which I definitely blame for the reasons I have not been productive at all for the last four weeks. I'm sure you all know what Minecraft is, and if you don't then you must live in a box (no offence), it's just a game that seems to be so simple yet so addictive and makes me turn into a property developer, interior designer, farmer, hunter and more all in a pixel universe. Moving on from pixel games that ruin my life..
April started off with a trip to Brighton with my wonderful Mum, where I explored all there was to be explored in walking distance including the pier and lanes! After Brighton I've had a pretty nice month doing lots of shopping, seeing many films, spending a busy Easter at work and even making new friends. Oh and I finally got my hair cut! Not to mention I went on a work night out which is a big deal for me as I'd rather be snuggled up in bed watching TV, than moaning that my feet hurt and I want to go home, but I dressed up and wore fake eyelashes for the first time and had a good laugh, being told I look very different outside of work "in a good way" haha. I also enjoyed the few days of hot sunshine April had to offer, which unfortuntely was followed by thunder storms, but neverless Spring is here! I do hope I have a more productive month when May is here, I have plenty of blog posts planned and will hopefully be going on more trips including a festival.